(CNN) - After more than a year of tense negotiations with the school district, Denver teachers overwhelmingly voted to strike late Tuesday. "Denver teachers overwhelmingly agreed to strike," lead negotiator Rob Gould said during a news conference on Tuesday. "Oh, we have to strike," one teacher told KDVR. "We have no choice." The union had been negotiating with the district for 14 months to overhaul the compensation system, which the union says is directly linked to the city's teacher turnover rate. "The revolving door is a crisis for kids and families who count on DPS to consistently provide a caring, qualified and experienced teaching staff at every school," the union said in a news release announcing the result of the vote. DCTA hopes to alleviate the high turnover with changes to Denver teachers' pay, which the union says prohibits some teachers from paying for housing in the area and forces some to take on second jobs. As an example of the hardships Denver teachers face, the union cited a teacher who taught in Indianapolis and Chicago before moving to Colorado. The teacher makes $10,000 less in Denver than he did in Indianapolis and $15,000 less than he did in Chicago, the union said in its statement. "I didn't expect to make a lot of money," Denver teacher Amber Wilson told CNN affiliate KFVS. "But I didn't expect in my late 30s and early 40s to be waiting with bated breath for my paycheck to come at the end of the month." "They're striking for better pay, they're striking for our profession and they're striking for Denver students," Gould said. "It is very disappointing. We fully committed to negotiations for more than a year with a goal of keeping more of our talented and dedicated teachers in the district," said DCTA President Henry Roman. According to Roman, the Denver Public Schools' final offer came up $8 million short of the funding the union sought to create a compensation system that would attract new teachers while valuing the service of current staff. 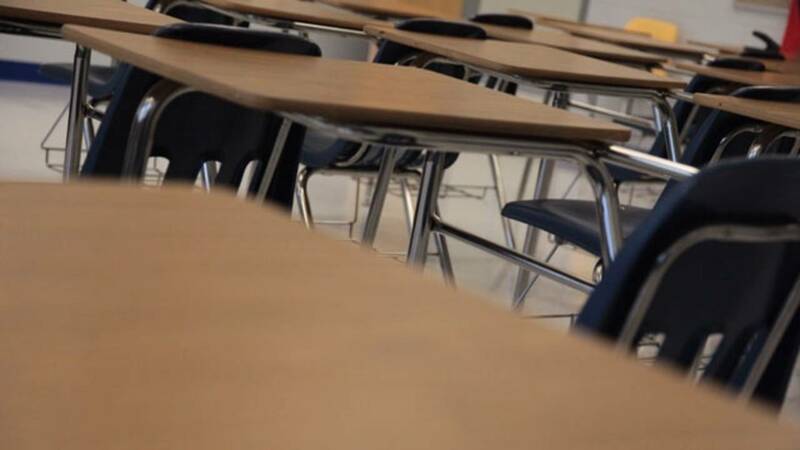 "It's only 1% of their entire budget -- less than 1% -- to give us that $8 million that would help us get our teachers where they need to be," Wilson told KFVS. This would be Denver's first teacher's strike since 1994. "I remain very committed to working with our teacher's association to reach an agreement," Cordova, the superintendent, said. "We are very committed to keeping schools open. Even with this strike vote there is nothing that will change for school tomorrow; so tomorrow schools will be open," she said. "I want to ensure that the community knows we love our students, we love this city and we're going to try and make sure that we're communicating with our parents and with our families to make this work," Denver teacher Moira Casados Cassidy told KDVR.